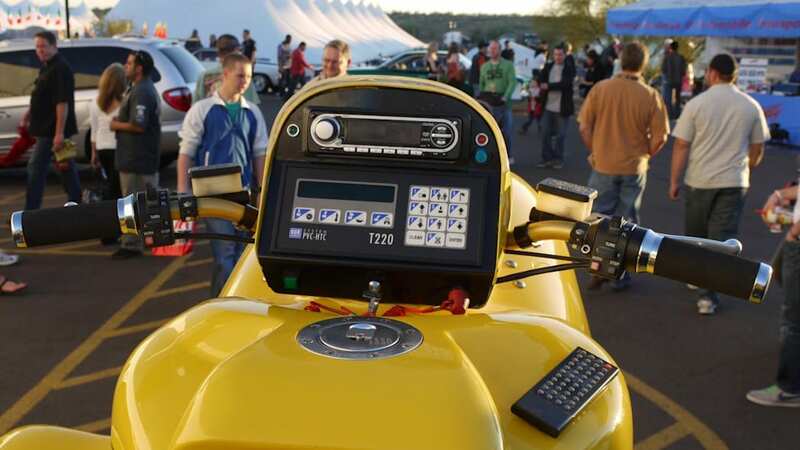 Here we have another one of Speed's Fantasy Bidding Game machines. 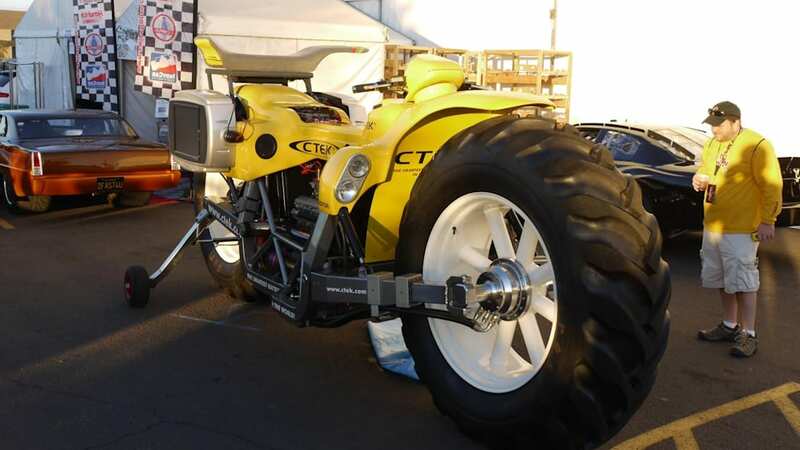 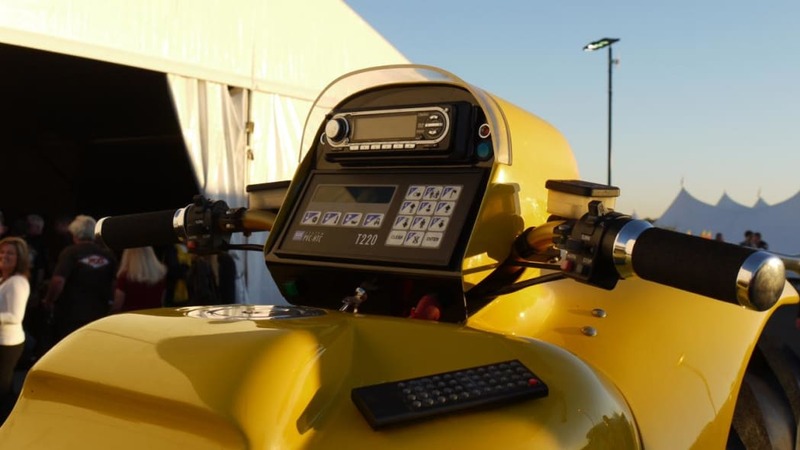 Click here if you'd like to test your auction pricing mettle by guessing what this monster motorcycle will end up bringing at the auction block – you could end up winning a prize, like an Apple iPad. 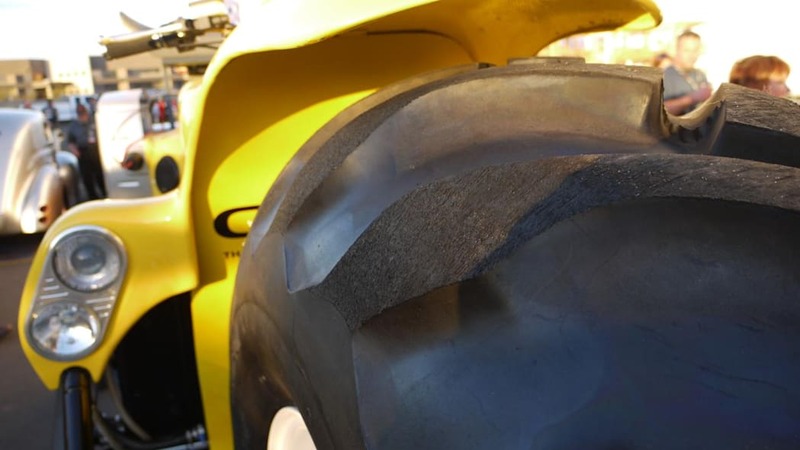 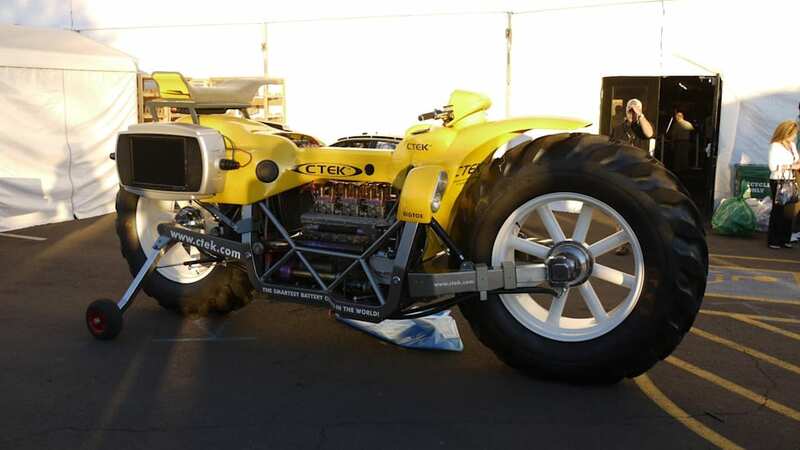 Tom Wilberg, the Swedish creator of this machine, named it Big Toe, and it is indeed a chip off the old block... that is to say, Bigfoot, the most famous monster truck known to man. 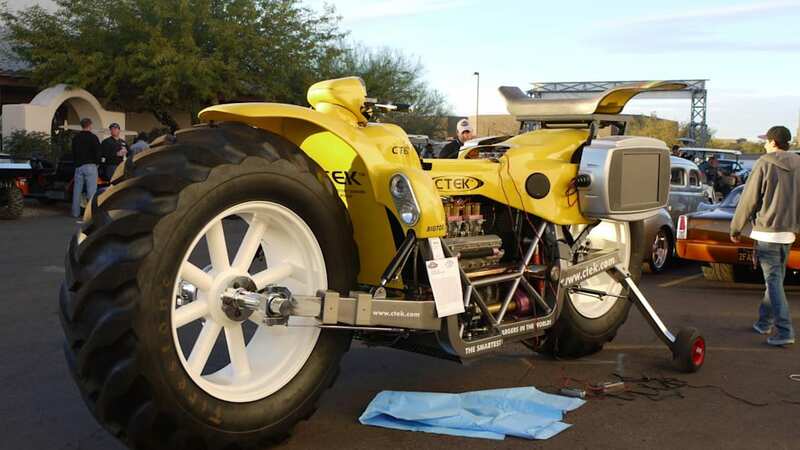 Clever, no? 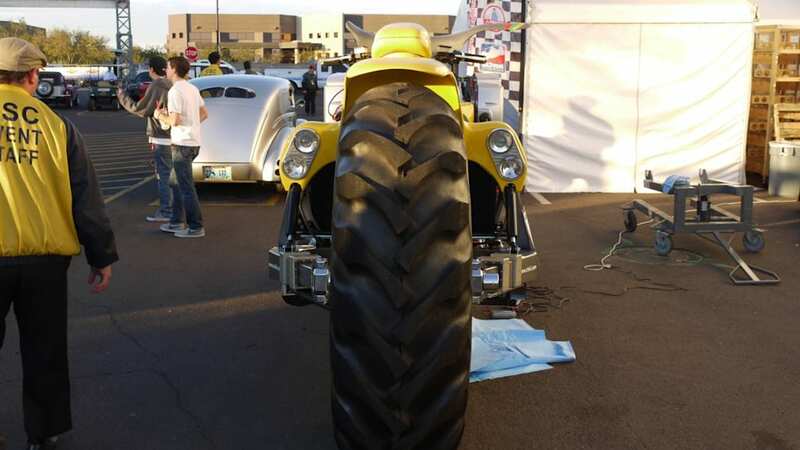 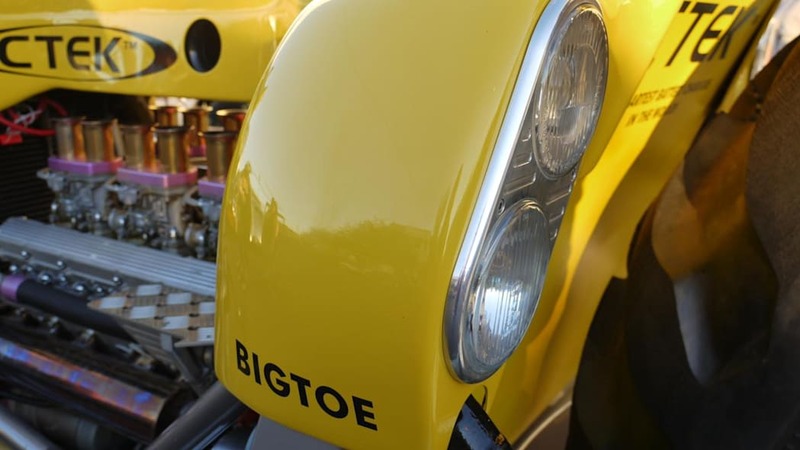 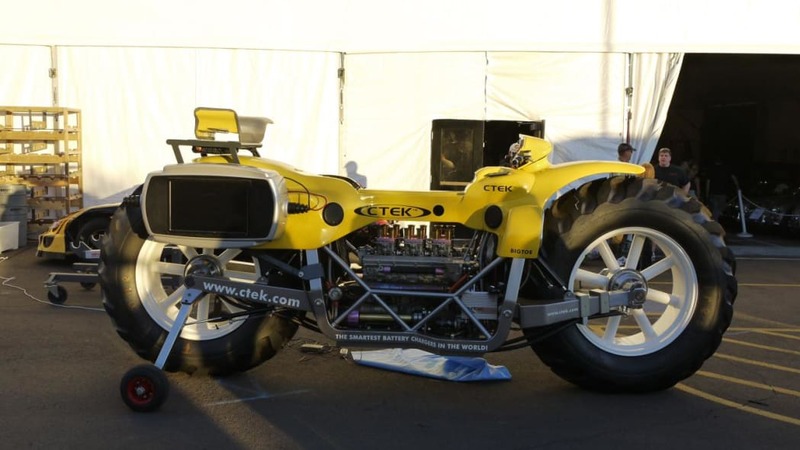 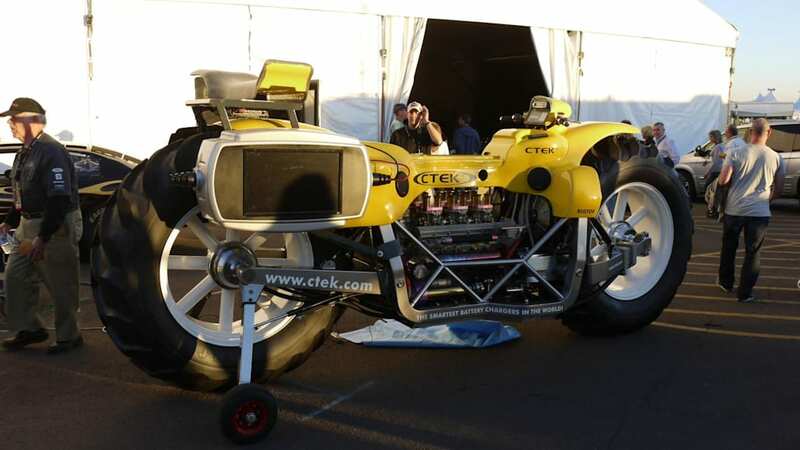 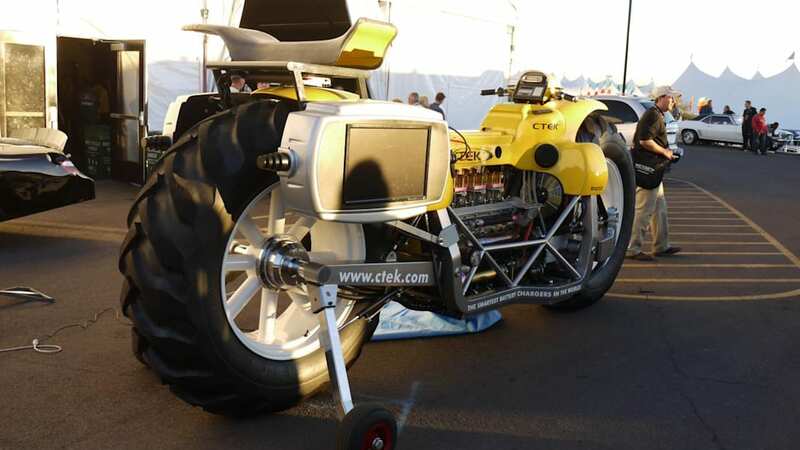 We're not going to argue with Wilberg or The Guinness Book of World Records when they claim that Big Toe is the World's Tallest Rideable Motorcycle, but we do have to wonder if our definition of the word rideable differs with theirs. 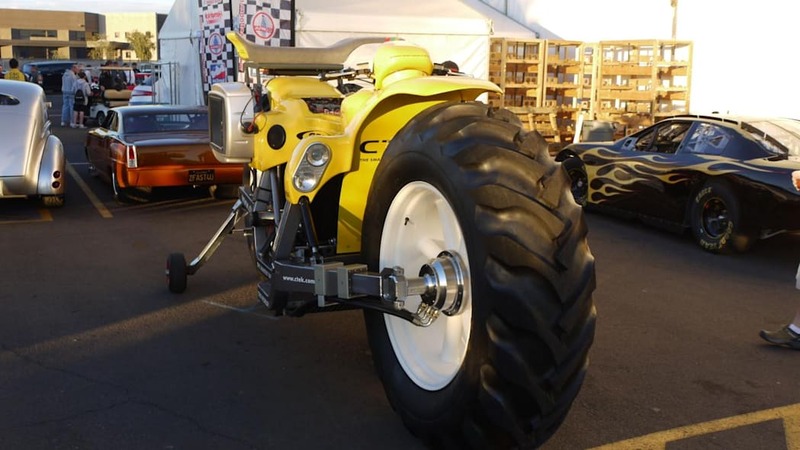 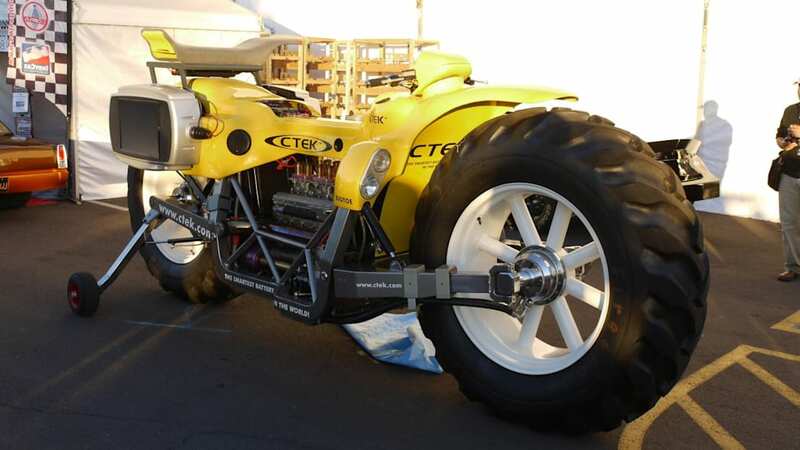 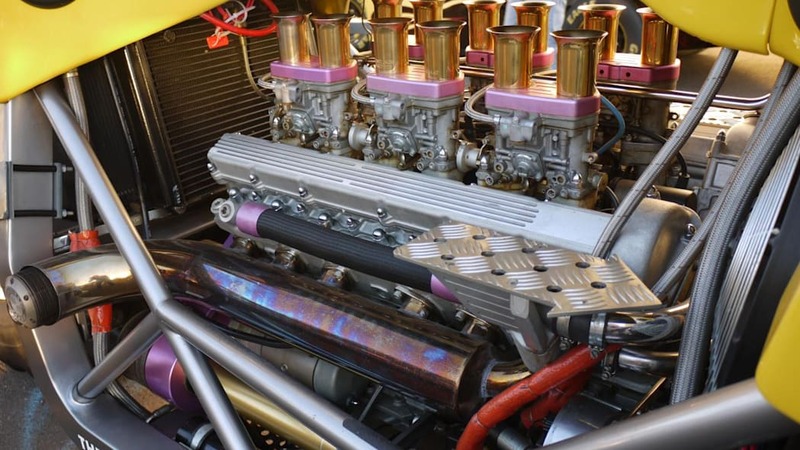 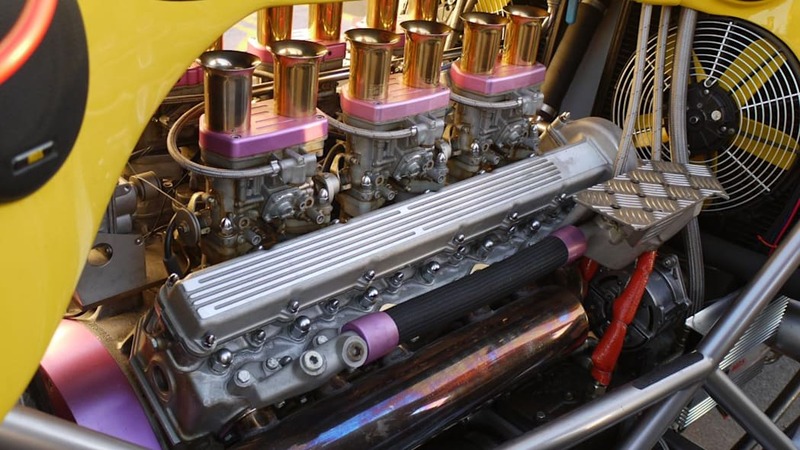 In any case, this larger-than-life, tractor-tired, 5.3-liter V12-powered motorcycle is getting ready to roll across the auction block here at the 2011 Barrett-Jackson auction in Scottsdale, and you can see its official auction page here. 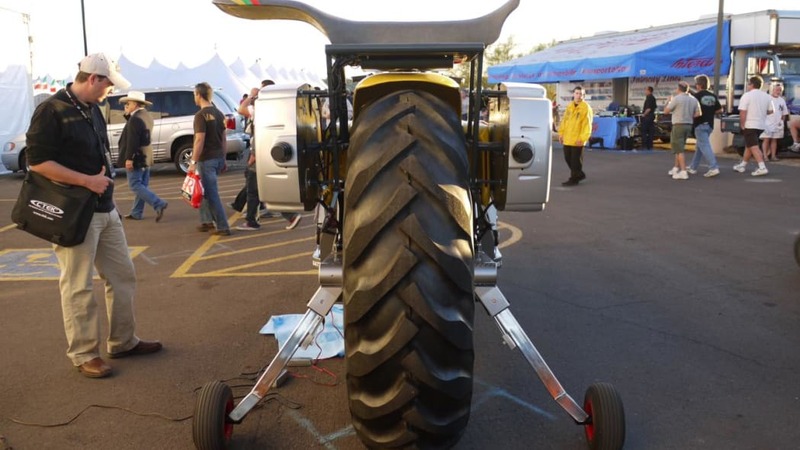 Check out our high-res image gallery of the machine below. 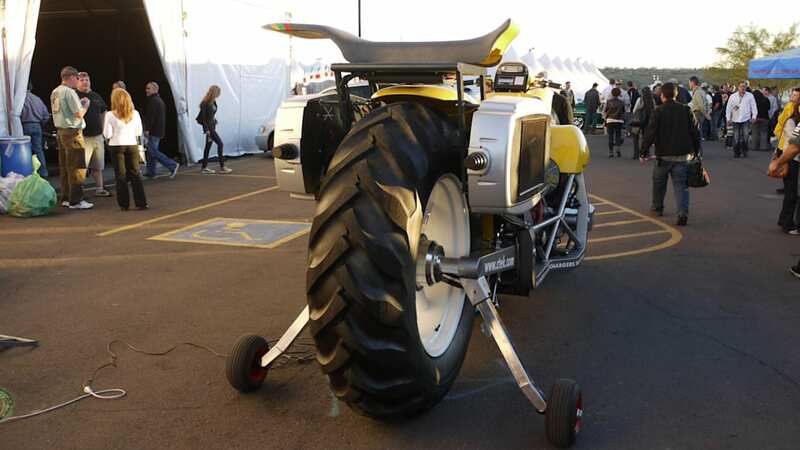 *Update: Check out the video of the Monster Bike being auctioned after the break.